With over 15 years of music teaching experience, I take incredible pride in the quality of the piano and vocal tuition that I offer. Specialising in piano and voice of all styles, I tutor pupils of any age and ability in the comfort of their own homes. With my experience as a primary school teacher, I always ensure lessons are well-paced, carefully planned and delivered and, above all, fun and engaging. I choose teaching materials to suit individual pupils and am also able to offer Skype 'check-in' lessons for those who require it. I enjoy teaching pupils who wish to learn for fun, or those wanting to work towards graded examinations. I have a 100% pass rate for examination entries. Learning any instrument is the start of a lifelong love affair with music and choosing to learn the piano is an exciting challenge for many. 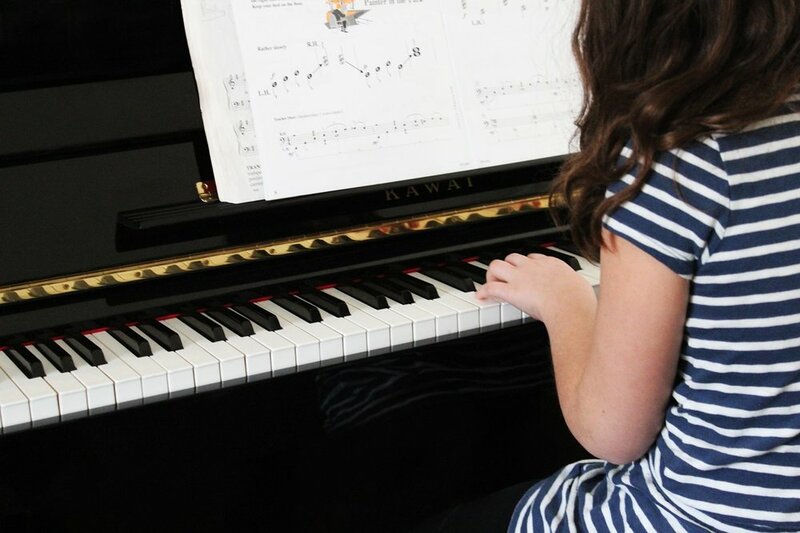 Whilst many younger students will enjoy working towards ABRSM examinations, I also have mature pupils who are either new to the instrument or returning to lessons after a few years rest. Whatever the pupil's ability, I will focus on a mix of technical exercises and studies to improve fluency, develop a sense of pulse, rhythm and pitch through oral activities and, of course, a wide selection of repertoire to satisfy, broaden and develop musical tastes. Learning to sing can, for many, be a very daunting experience. As both a pianist and accomplished singer, I teach vocal pupils to develop the same sense of musicality that instrumentalists themselves learn. A classical singing technique is taught through breathing and oral exercises, along with sight reading and music theory practice to build the skills of musicianship. Finally, a wide range of repertoire for all types of singer enables the personal style of each vocalist to shine through. For singing exams and performances, I am able to accompany pupils which, for many, provide extra support, encouragement and convienience. As well as regular tuition, I am also available to accompany singers, instrumentalists and dancers for concerts, performances and examinations. I have worked with older students to prepare for auditions to stage schools or musical theatre courses. With my background in performance and musical theatre, I enjoy supporting young performers to meet their full potential as they embark on a career in music and the performing arts. I am also happy to work with pupils' current teachers in order to prepare for performances or auditions.